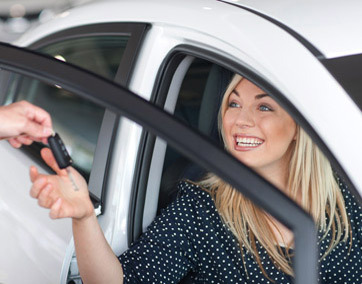 What are the age requirements and qualifications to rent a vehicle? Drivers are expected to have a valid Driving License for at least one complete year before the day of rental. The minimum age is 21 for the cars and 18 for the bikes. An International Driving License is required by Greek Law for all drivers that are not citizens of the European Union. Also an International Driving License must accompany any Driving License in characters that are not readable in English or Greek. How can i make an online reservation? Our easy-to-use online reservation system makes renting a car or bike, straightforward, safe and easy. Just choose the desired dates and the pick-up / return locations, to view all available vehicles for that period. Then choose the vehicle that best suits your needs, provide your personal details and complete your reservation in just a few clicks! Do i have to pay to make an online reservation? No deposit is required for your online booking. You can pay on delivery. Why should i pre-book online and not locally? By making an online reservation you take advantage of huge savings, special rates for more days, exclusive online limited offers and guaranteed vehicle availability. What’s included in the car rates? CDW (Colision Damage Waiver) insurance (the Excess Amount is 650 euros), Third Party Public Liability and Property Damage insurance, free delivery / collection to Zante Town, Airport, Kalamaki, Laganas, Argassi, Tsilivi, Tragaki, Alykes, Alykanas, Agios Sostis / Lithakia, Keri and Vasilikos, 24hrs breakdown service, unlimited kilometers, Vat and local taxes, no Credit Card fee, free baby / child seat, free Zakynthos road map. The Excess Amount is your maximum financial liability in case of damage to the rented vehicle after being reduced by the Collision Damage Waiver (CDW). Full Collision Damage Waiver (FCDW) is an optional insurance for 5 euros per day that limits the liability in case of accident to 0 euros. What’s included in the bike rates? Third Party Public Liability and Property Damage insurance, free delivery / collection to Zante Town, Airport, Kalamaki, Laganas, Argassi, Tsilivi, Tragaki, Alykes, Alykanas, Agios Sostis / Lithakia, Keri and Vasilikos, 24hrs breakdown service, unlimited kilometers, Vat and local taxes, no Credit Card fee, free luggage box, free helmets, free Zakynthos road map. Is the delivery and collection free of charge? We offer free delivery and collection for Zante Town, Airport, Kalamaki, Laganas, Argassi, Tsilivi, Tragaki, Alykes, Alykanas, Agios Sostis / Lithakia, Keri and Vasilikos. There is an additional charge for delivery and collection to Volimes due to distance. The minimum rental period for any vehicle is two days. Is there a kilometers limit? No. You have unlimited kilometers on the island of Zakynthos. Is it possible to take the vehicle off the island of Zakynthos? No, it is not possible to take the vehicle off the island of Zakynthos due to insurance policies not covering ferry transfer for rental vehicles. Can i change or cancel my reservation? Is there a charge? You can alter your reservation by sending us an e-mail to info@autolux.gr with your reservation details. There is no charge if you change your reservation till 7 days before the pick-up date, otherwise you will be charged a fee of 10 euros. Please notice that changes in your reservation shall mean a new calculation of your rental rate, depending on the season rates and the vehicle availability at that time. If you need to cancel your reservation, you can also send us an e-mail to info@autolux.gr with your reservation details. What if i do not pick-up the vehicle in the specified place and time, provided during my reservation? In case you do not pick-up the vehicle at the specified pick-up place and time you provided during your reservation process, without any prior written notice, your reservation will be cancelled after 1 hour. In case you can’t pick-up the vehicle at the specified pick-up time due to a cancelled or delayed flight please take the time to send an e-mail to info@autolux.gr or call us at +30 6982732259 or +30 6980290675, and inform us of your delay. By doing so, you ensure that your vehicle will be waiting for you when you arrive. What happens if i return the vehicle earlier or later? In case you return the vehicle earlier than the specified Return Date & Time, please note that there will be no refund. In case you return the vehicle later than the specified Return Date & Time, please note that there will be a grace period of 20 minutes. In case you do not return the vehicle within this period, you will be charged a full day of rental, at the current rate. Can more than one person drive the vehicle? It is possible to have one additional driver per vehicle but you will be charged 2 euros per day. The additional driver should have a valid Driving License and meet the age requirements. Will you help me explore Zakynthos? Our staff will give you all the information you need, a free Zakynthos detailed road map, directions to places of interest and many suggestions to fully enjoy your vacation on the island. What is the Chauffeur Service? AutoLux offers flexible tailor-made tours with your own chauffeur. Experienced, English-speaking drivers, will show you the most beautiful and charming places in Zakynthos island, including the most famous sights and monuments! Every tour lasts for 8 hours and is individually planned according to your needs and expectations. At the last step of your online car reservation, you will find a section called Optional Extras, where you can book your private tour with a chauffeur. The price is 60 € per tour. Am i covered by the CDW Insurance for any loss that may arise? No, there are exceptions for damages which are not covered by any insurance. Such cases are single damages to the lower part of the vehicle, wheels and tires, as well as damages due to driving on an improper road surface, towing another vehicle, transfer of explosives, negligence, rallying and driving under the influence of drugs / alcohol. Are there any mandatory insurance policies which are not included in AutoLux rates? No, there are not. The mandatory insurances are included in our rates. There are some optional policies for our cars, such as PAI (Personal Accident Insurance) and TPC (Theft Protection Coverage) which are clearly presented as Optional Extras during the online reservation process. Is there a discount if i book a vehicle for more than 6 days? You will get a 10% discount if you make a reservation for 6-15 days. You will get a 15% discount if you make a reservation for more than 15 days. What about fuel? Do i have to pay for it? Fuel consumption is payable by you. You are obliged to return the vehicle with the same amount of fuel as it had when collected. In the case of returning the vehicle with less fuel, you will be charged with the fuel difference. Can your staff explain the vehicle's controls to me? When picking up your rented vehicle, our staff is at your entire disposal to explain to you its main controls. What do i do in the event of loss of keys? In the event of loss of vehicle keys, you will need to call AutoLux at +30 6982732259 or +30 6980290675. Additional service charges will apply, as the loss of keys is not covered by our insurances. What happens if i breakdown or have an accident? In case of a breakdown or accident, you must stay where you are and call AutoLux at +30 6982732259 or +30 6980290675. What do i do if i need a rental extension? If you want to keep the vehicle longer than the contracted period, you have to contact AutoLux in order to extend your Rental Agreement upon availability. Please notice that you have to contact us at +30 6982732259 or +30 6980290675, at least 2 hours prior to Return Date & Time. You can also check our Rental Terms & Conditions before booking a vehicle. Please click here to read them.